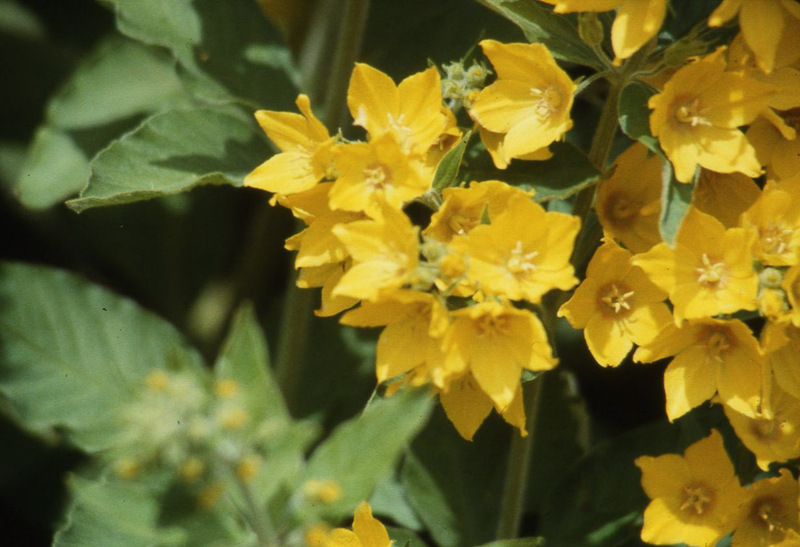 Garden loosestrife is native to Europe and western Asia, an has become naturalized in North America. Identification: These plants are 18-36" (45-91 cm) tall, and up to 24" (60 cm) around. Leaves are in neat whorls, narrow, about 2" (5 cm) long. Multiple yellow star-shaped flowers, each about ¼-½" (8.3-12 mm) across, nestle among the upper leaves of each stem. 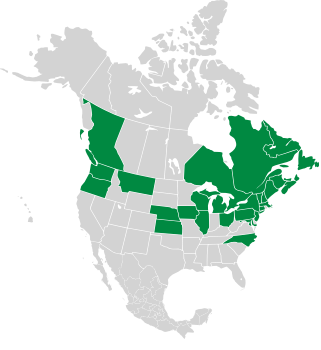 Lysimachia punctata description by Thomas H. Kent, last updated 2 Jan 2019.